So you want to start a blog? Great Idea! But what about the skills required to write a blog ? Anyone with basic computer knowledge can set one up. Yes, this includes you! Starting a blog can seem daunting, but it is actually quite easy. By following this guide you can expect to have a blog up and running in under an hour. So lets get started !!!! Blogs are an online journal where one can freely express their opinion, thoughts, subject expertise etc on a regular basis in reverse chronological order. Ok, that was a blog definition. How about you answering the following questions about blogs to check your understanding of basic blogging terminology. What is a post ? Who is a blogger ? If you are unsure about the answers, you can read about basic blogging terminology in my article What Is A Blog. Blogs are created using blogging software. The software we’ll be using in this guide is called Blogger (It is free and owned by Google). It’s by far the best and most popular blogging system. Before we start a blog in Blogger, we need a Google account. 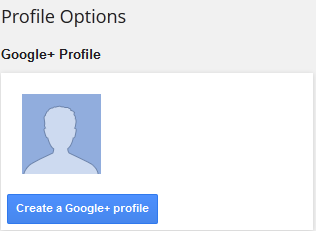 If you don't have a Google Account yet, you can create one now (PICTURE 1). That's it ! 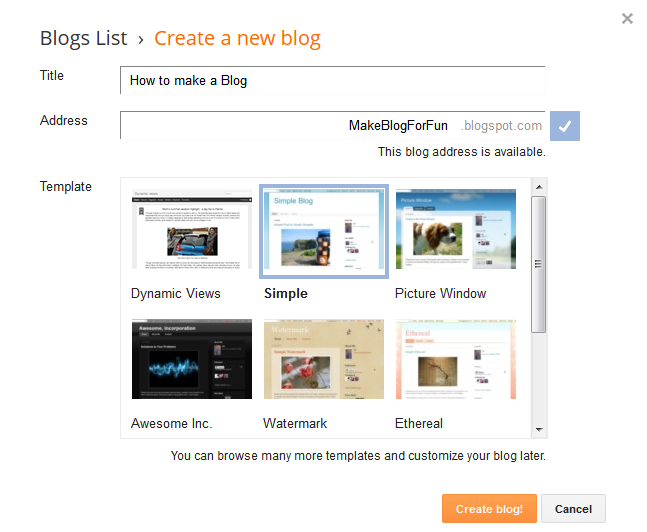 You are all set to start using Blogger. So now let us see the steps to make a Blog using Blogger. To start using Blogger, click here to sign in with your Google Account. and yes now it is the time to create a new blog !!!!!! 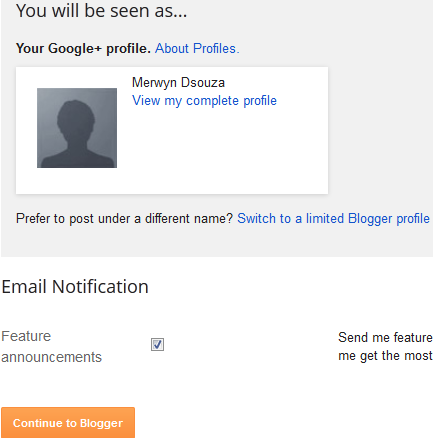 Next Step is to click which will create your blog (PICTURE 7). I have created a new blog called 'How to make a Blog' and i can start posting. What do you think? Did you find it useful ? Share your valuable experience and insights in the comments box below.